Note: the links for the other pages are at the very bottom of this one!!!! We live in the Marlborough Sounds, in a small area called Linkwater, surrounded by dairy farms...and the sounds themselves. 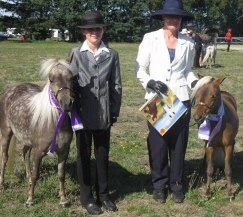 My mother-in-law had miniatures 20 odd years ago and we spent a couple of seasons showing them successfully for her down in Canterbury, after that we had to have our own....they were the perfect size for the kids to handle, saddle and show by themselves. 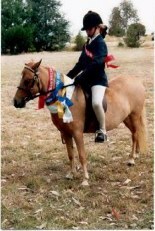 We brought Claremont Tiffany (Glenshee Currant Bun x Cuddles) for Kalah to ride, (she was an outgrown mini). Our first 'real' miniature was a foal, Daydream, that we bred from Tiffany and another 'Kyra' that was bred out of a mare given to us. 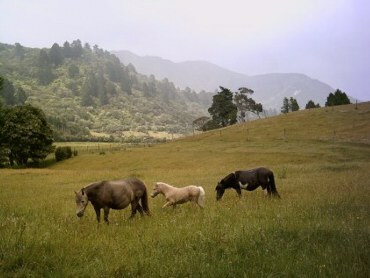 We also have bred a number of pony foals, usually part-bred welsh from Michaelas bigger riding pony mares and these have gone on to become successful kids and driving ponies. 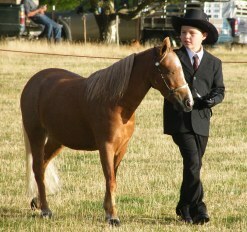 We 'break' (educate) our ponies ourselves for both saddle and harness. Kalah does all the ridden schooling. Our horses are 'all rounders' and they are broken to saddle, jump, do obstacle and go in harness, as well as being competitive in the showring halter classes. 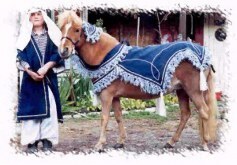 We have mainly bred larger Category B minis; I like a good leg length and horses that can move and are a useful size. Mainly we are concentrating on harness now. We still show the minis inhand a bit, but increasingly finding judges placing 'type' over correct conformation and movement - it's a real turnoff for us, leaving us and many other competitors wondering how they passed their judges ticket. Sometimes those ribbons do not tell the truth on conformation. Our horses are far from perfect either but we've been breeding and showing horses and ponies for over 30 years now and learned from the old school, we know what is 'correct' and what would stand up to 'actual work'. PLEASE KEEP SCROLLING DOWN for other page links!!!!!! !